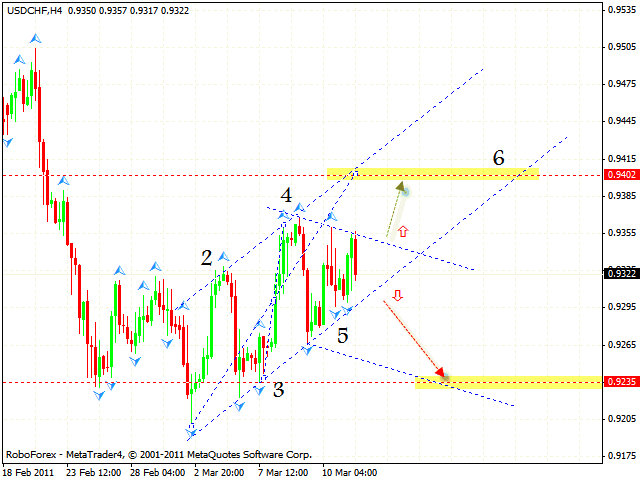 HomeFor ClientsAnalyticsForex Analysis & ForecastsForex Technical analysis and forecastsForex Technical Analysis 2011/03/14. EUR/USD,GBP/USD, USD/CHF, USD/CAD Forecast Fx. Forex Technical Analysis 2011/03/14. EUR/USD,GBP/USD, USD/CHF, USD/CAD Forecast Fx. 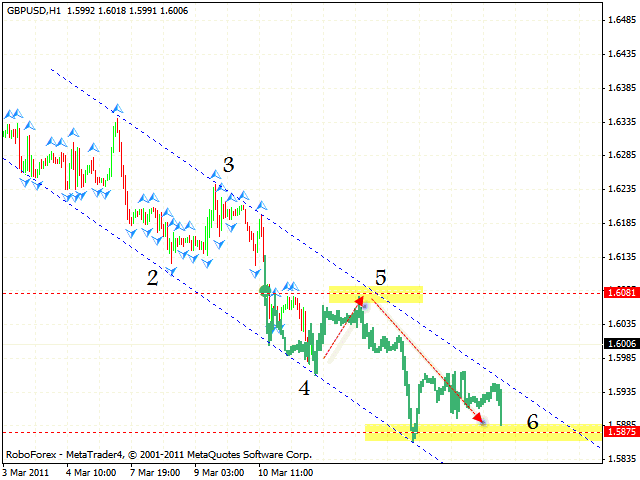 As it is seen from the eurusd forecast the EUR/USD currency pair keeps moving downwards. At the moment we can see the formation of the descending symmetrical structure withthe target in the area of 1.3705-1.3659. 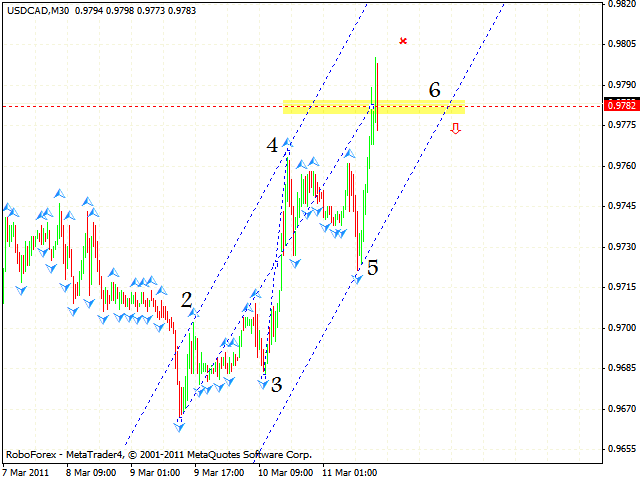 One can consider selling the pair near the channel’s upper border, in the area of 1.3822. But if the price breaks and leaves the channel, this case scenario will be cancelled. Pound is also moving inside the descending channel. One can consider selling Pound at the level of 1.6081. 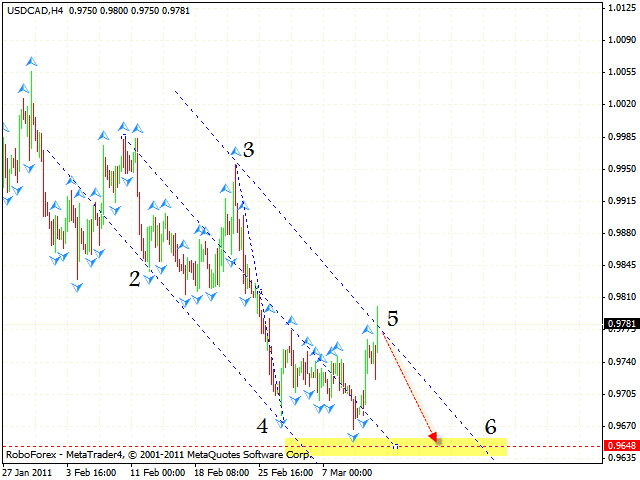 The target of the fall is the area 1.5875. 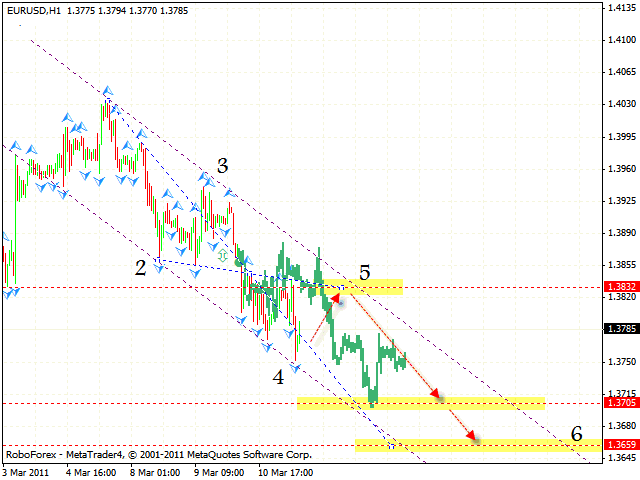 On the basis of the gbpusd analysis another possible scenario is the price breaking the channel’s upper border. In this case one is recommended to close short positions. In case of Franc the situation has changed. At the moment we can see the formation of the equal “triangle”. According to the technical analysis usd chf one can consider opening positions only towards the soon-to-be-broken side of the pattern. The most possible scenario is the price breaking the “triangle” downwards with the target of the fall is the area of 0.9235. As we can see from the usd cad analysis Canadian Dollar is testing the descending channel’s upper border, the target of the fall is the area of 0.9648. However, if the price is fixed outside the channel, we will not recommend you to open short positions on the pair. At the M30 online forex trading chart Canadian Dollar has reached the rising targets. One can consider selling the USD/CAD currency pair only after the price leaves the channel or the completion of the reversal pattern. The stop must be above 0.9805.